For centuries, pomegranates have been used to support estrogen balance and fertility. Why? Pomegranate is a selective estrogen receptor modulator. According to studies (Sreeja, et al., 2012, Sreekumar, et al., 2014), it can contribute to the prevention of estrogen-dependent breast cancers, and there is evidence it also provides some protection against endometrial, ovarian, and cervical cancers. 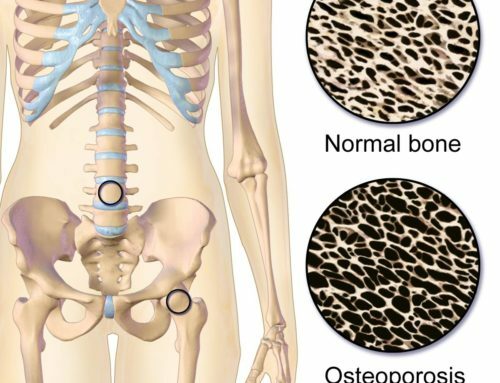 It also supports bone health by reducing your osteoporosis risk and is chock full of folic acid and antioxidants. 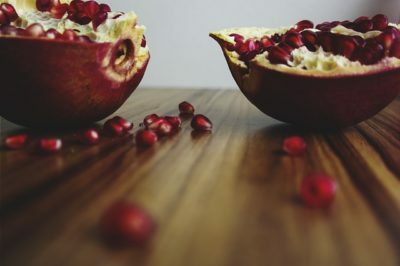 ***Since estrogen levels can be low when breastfeeding postpartum, or during perimenopause and menopause (leading to vaginal atrophy or dryness)*** — why NOT drink some pomegranate juice or try sprinkling some pomegranate seeds onto your salads, shakes and more? My only requests: avoid buying drinks that use pomegranate juice concentrate, & those full of additives, sugar, or sweeteners. And if you are on blood thinner medication, speak to your MD first since pomegranate juice can act as a blood thinner.